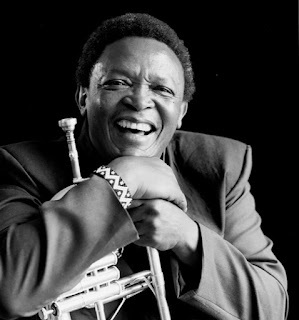 When trumpeter, flugelhorn-player, singer, composer and activist Hugh Ramapolo Masekela cancelled his appearance at the recent Johannesburg Joy of Jazz Festival and his remaining October shows, taking time out to deal with serious health issues, fans were forced to return to his recorded opus for reminders of his unique work. Listening through that half-century of disks, the nature and scope of the trumpeter's achievement becomes clear. The first was part-mythical: the life of jazz great Bix Biederbeckefiltered through Kirk Douglas's acting and Harry James's trumpet, in the 1950 movie "Young Man With A Horn". Masekela saw the film as a schoolboy at the Harlem Bioscope in Johannesburg's Sophiatown. The erstwhile chorister resolved "then and there to become a trumpet player". I don't want to be yesterday's guy. Much has already been written about Masekela's life and its landmarks: playing in the Huddleston Jazz Band in the 1950s on a horn donated by Louis Armstrong; performing in the musical "King Kong" in the 1960s and at the Guildhall and then Manhattan schools of music with singer Miriam Makeba; US pop successes in the 1970s and then touring Paul Simon's "Graceland" in the 80s and 90s. "Jazz Epistle: Verse One" (1960) featured band compositions marked by challenging improvisation - "a cross between mbaqanga and bebop". Mbaqanga is form of South African township jive and bebop an American jazz style developed in the 1940s. Masekela had also joined the pit band and worked as a copyist for South Africa's first black musical, "King Kong". In the next two decades, Masekela's re-visioning of his music took many forms. He found America hard, but with wife Miriam Makeba (the marriage lasted from 1964 - 1966), the production skills of Gwangwa, and the support of American singer Harry Belafonte he proactively introduced audiences to South African music and the destruction of apartheid. On the ironically titled 1966 live "Americanisation of Ooga Booga", he demonstrated the creative possibilities of "township bop". Masekela did this by mashing up repertoire and playing styles from the South Africa he had left and the America he had landed in. That list captures only a fraction of his projects in the 1960s. Some bore instant fruit: his 1968 single, "Grazin' In the Grass", topped the Billboard Hot 100 list and sold four million copies; the previous year's "Up Up and Away" became an instant standard. 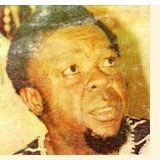 In 1971, he teamed up with Gwangwa and Caiphus Semenya for another pan-African vision: The Union of South Africa. In 1972 he explored a stronger jazz orientation on "Home is Where The Music Is" with, among others, sax player Dudu Pukwana, bassist Eddie Gomez, keyboardist Larry Willis and Semenya. That depression inspired the song that achieved genuinely iconic status back home in South Africa: the 1974 reflection on migrant labour, "Stimela/Coal Train". For me songs come like a tidal wave ... At this low point, for some reason, the tidal wave that whooshed in on me came all the way from the other side of the Atlantic: from Africa; from home. 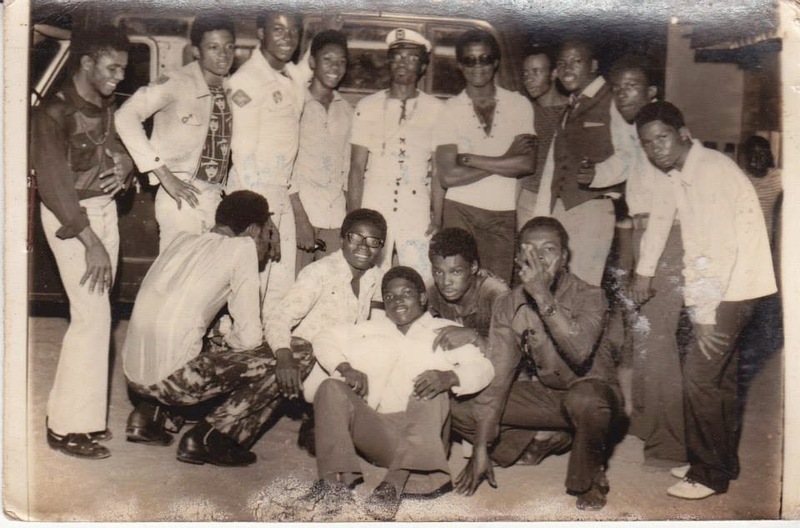 Shortly afterwards, Masekela headed off to Ghana, hooked up with Hedzoleh Soundz, and was soon back in the charts. "Stimela" received its first outing on the album "I Am Not Afraid", with West African and American co-players including pianist Joe Sample. By the mid '80s, the hornman was back in southern Africa, recording "Technobush" at the mobile Shifty Studio in Botswana, and performing for the Medu Arts Ensemble with a Botswanan/South African band, Kalahari. His music shifted again: roots mbaqanga came strongly to the fore to speak simply and directly to people now openly battling the apartheid regime just across the border. But his shrewd ear for the music of today, rather than yesterday, also took him into younger company. He collaborated with current stars - including singer Thandiswa Mazwai - often encouraging them to take centre stage. Just before the recurrence of his cancer, he was planning a festival collaboration with rapper Riky Rick. Other South African musicians have succeeded overseas; many have made one mid-career image switch - but few have shown us, in only one person but more than 30 albums, so many of the faces and possibilities of South African jazz.